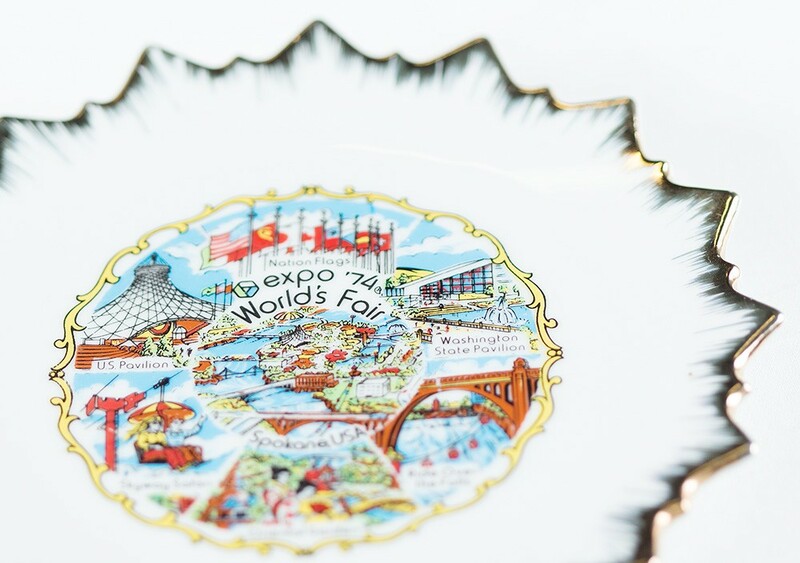 After 40 years, many of the salt shakers, postcards and photos of Expo ’74 have disappeared into assorted boxes of knick-knacks or the trash. 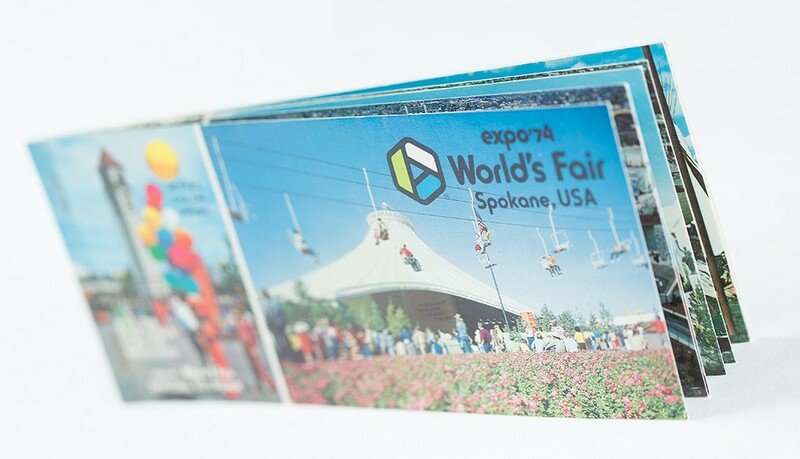 But some of the items have survived as collectibles or family heirlooms, and they serve as tangible reminders of what it was like when Spokane hosted a world’s fair. A special thanks to John Waite, Karen Mobley and Jen Forsyth for letting us photograph items they’ve collected. Look for more, as well as featured artists whose work was displayed at the fair, at the upcoming Chase Gallery show opening July 9. 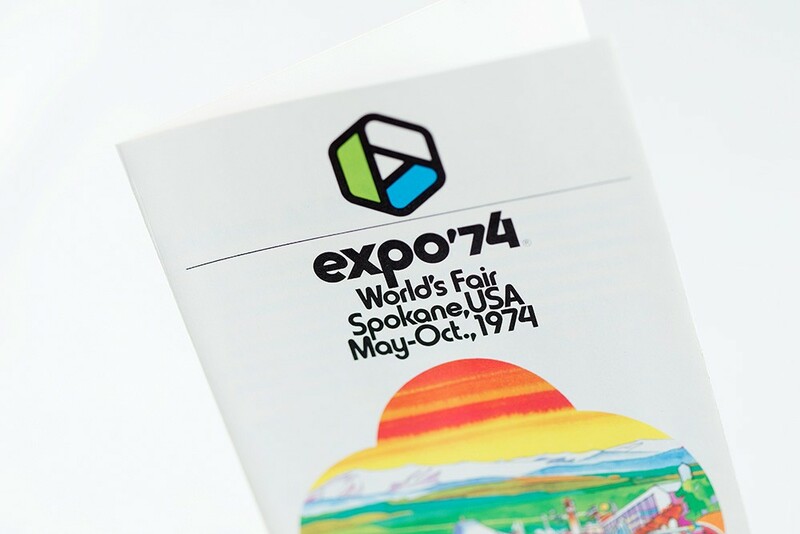 A world's fair booklet with information about Expo. 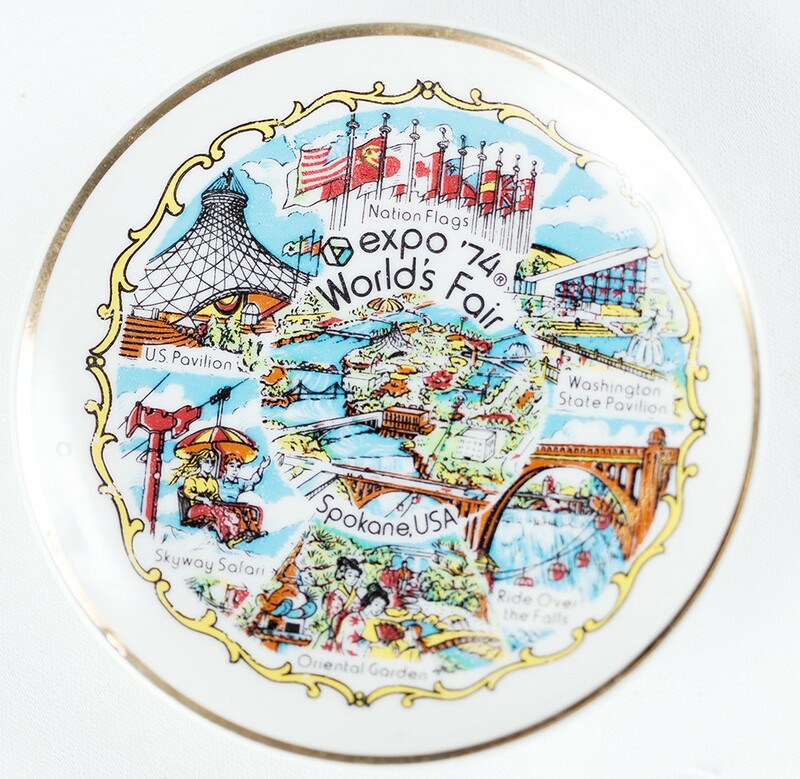 A commemorative plate featuring Expo attractions. It cost $1.95, according to the Expo price tag still on the back. 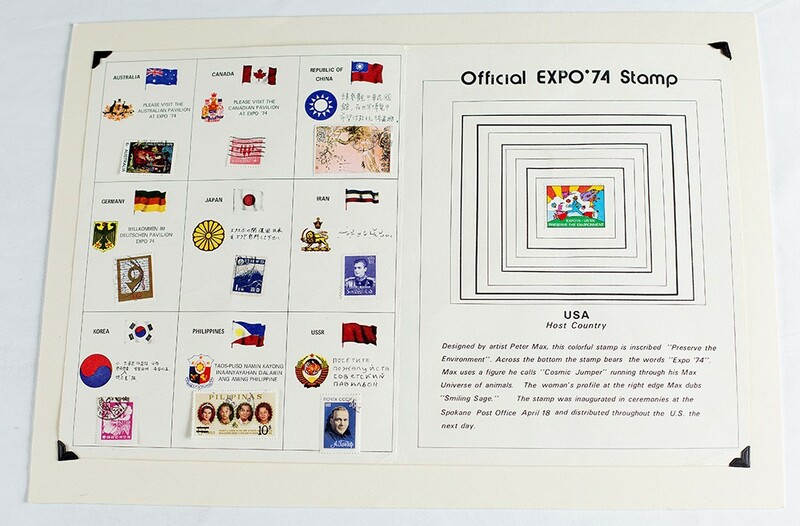 A world's fair collectible stamp booklet. 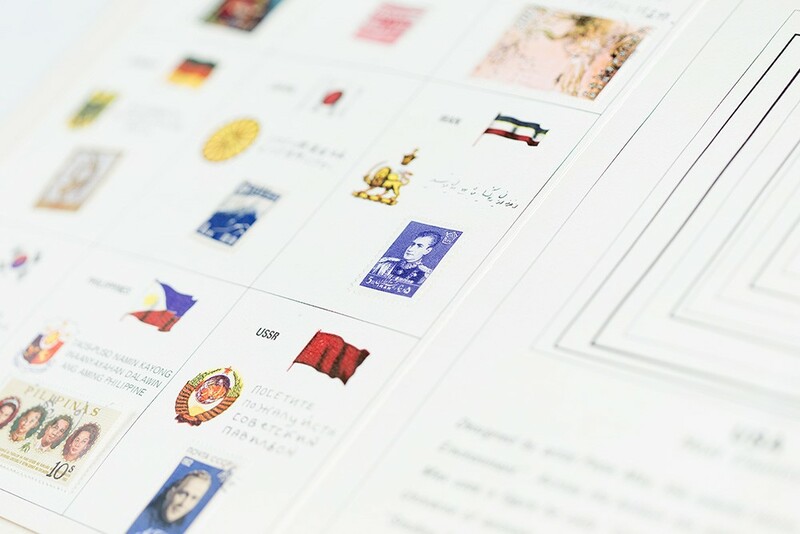 Detail of the stamps for each nation. 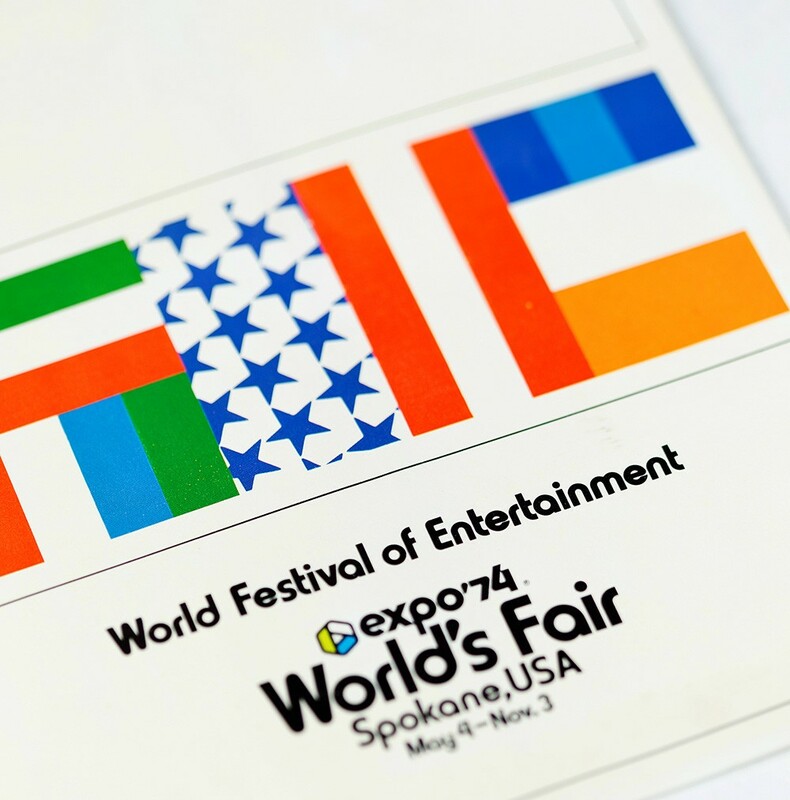 A World Festival of Entertainment booklet. 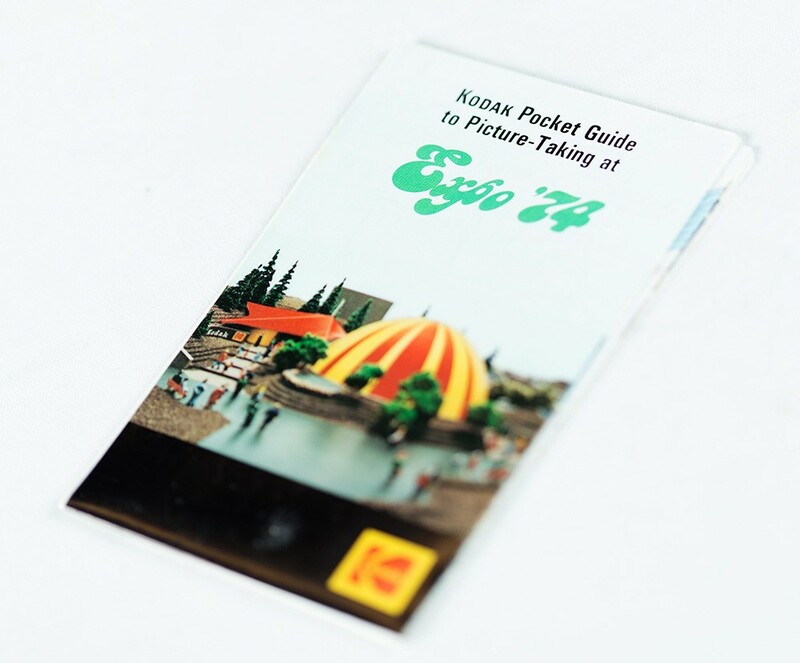 A Kodak guide for taking photos at Expo. 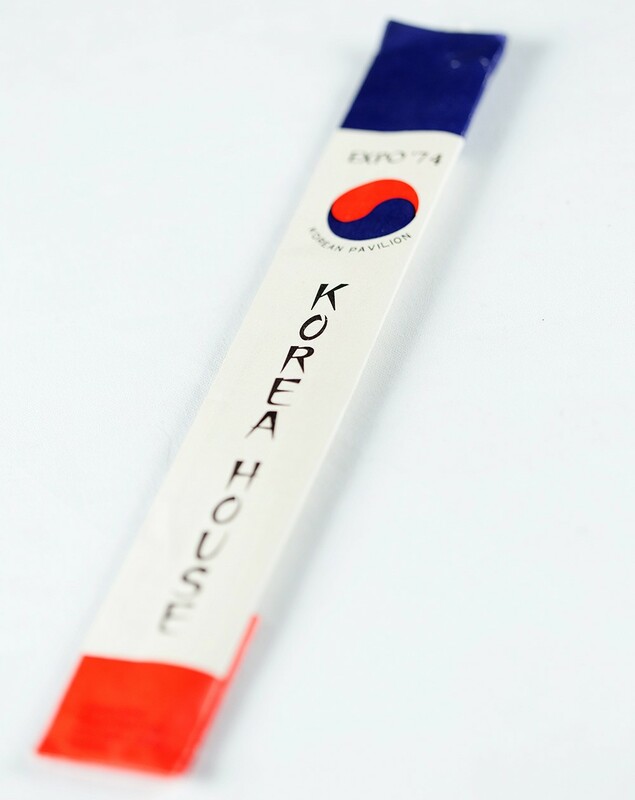 Souvenir chopsticks from the Korea pavilion. 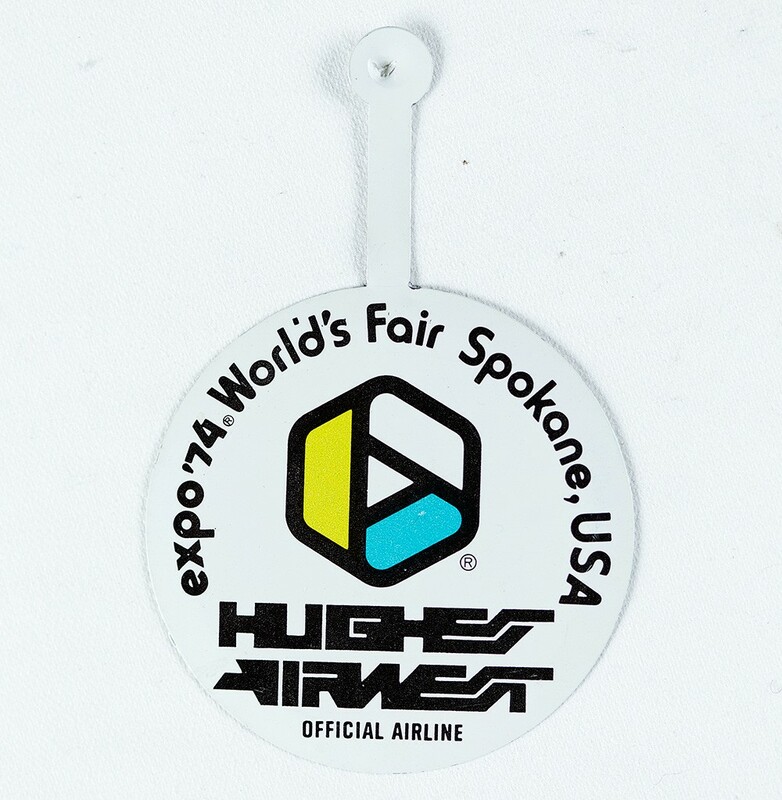 A Hughes Airwest airline pin. 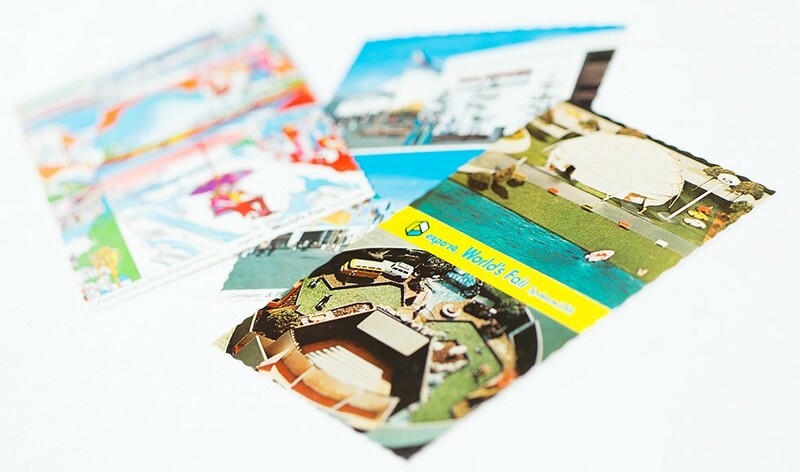 A book of Expo postcards. 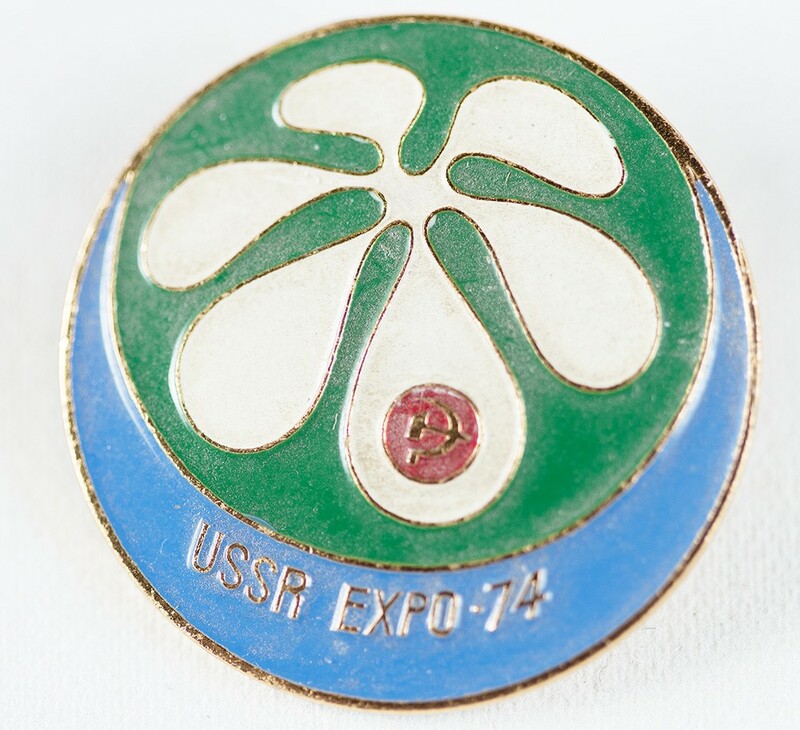 A USSR pin featuring a tiny hammer and sickle. 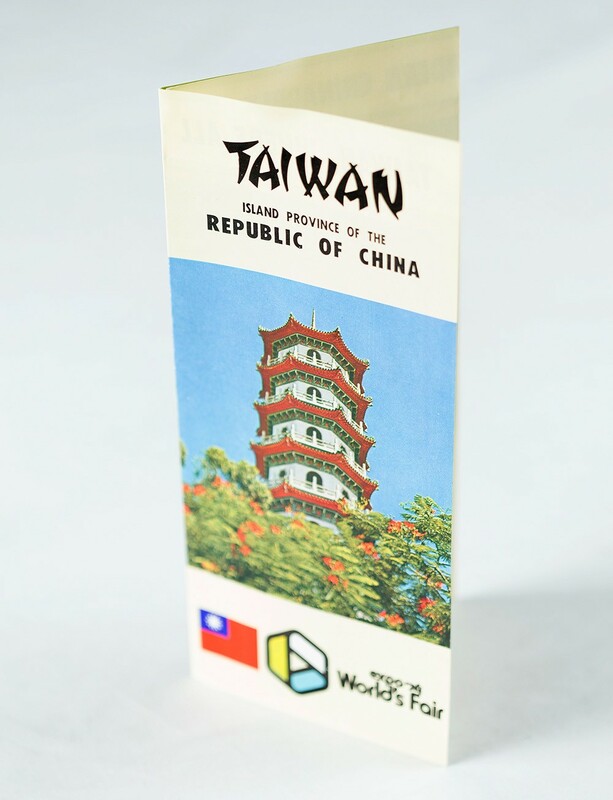 A booklet about Taiwan at the fair. 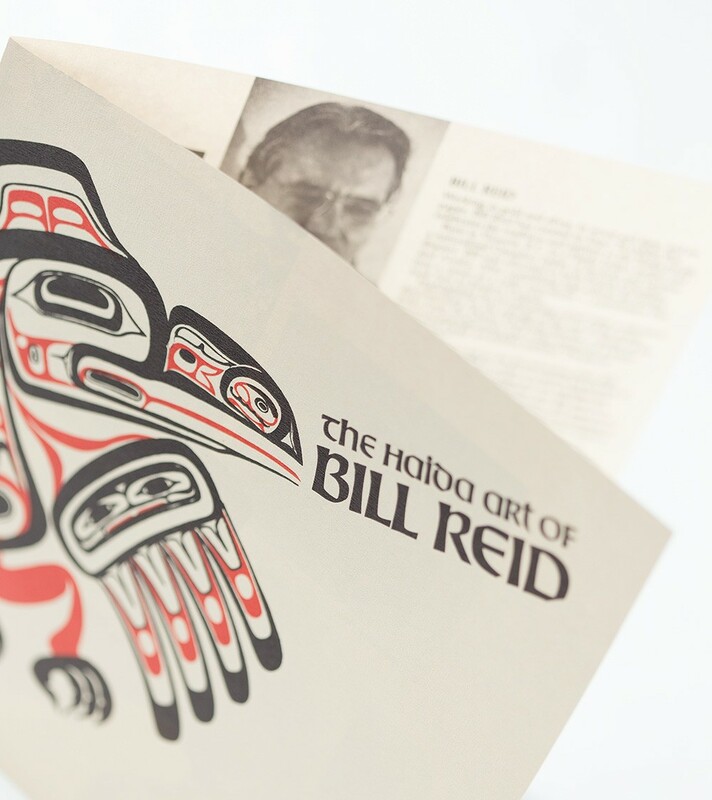 A program about Canadian artist Bill Reid, whose work was displayed at Canada Island. 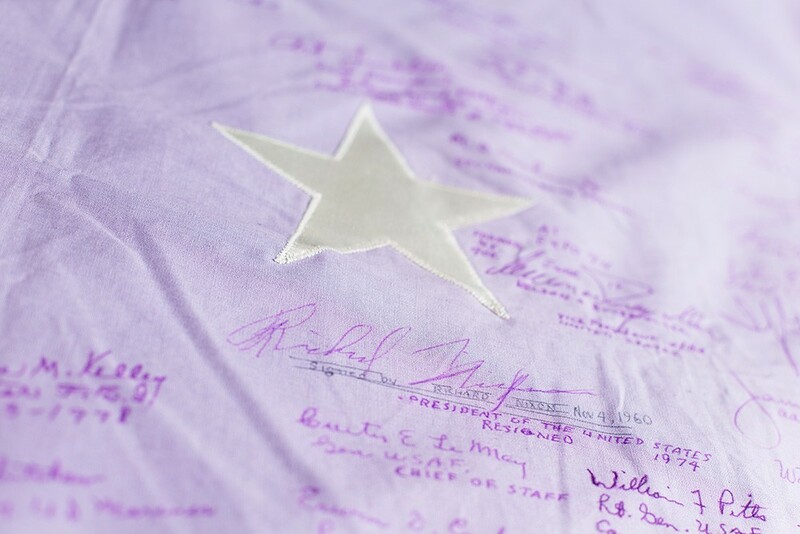 The flag signed by President Richard Nixon, Vice President Nelson Rockefeller and many other celebrities who visited the fair.